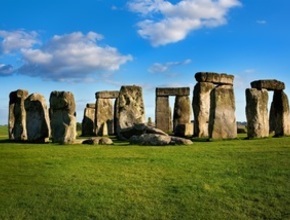 The perfect day out of London that includes transport to Windsor, home to Windsor Castle, a residence of the British Royal Family, prehistoric Stonehenge where your guide will help you beat the queues. Also travel to the city of Bath, known for its Roman-built Roman Baths. Over 900 years of royal history are waiting for you in Windsor Castle, which is perched high above the River Thames just outside of London. From William the Conqueror all the way through to our current Queen, successive monarchs have lived here and left their mark on what is now the largest continuously occupied castle in the world. 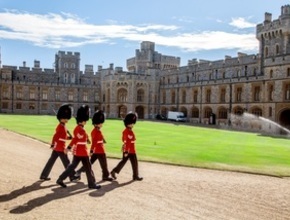 See Windsor Castle, so you can see for yourself the splendor of St. Georges chapel and the sumptuous state apartments. Windsor itself is a pretty town full of traditional shops and historic pubs. Shakespeare is said to have written his play The Merry Wives of Windsor in one of them! Built on Britain's only natural hot water spring lies the magnificent Roman public bath complex and Roman temple. At the heart of the World Heritage Site you can walk around the steaming pool on the Roman stone paving and admire the ancient Roman statues and architecture. Check-in starts a 15 minutes before the departure time stated. The Tour will conclude with a drop- off near Victoria Railway Station at approximately 8pm.